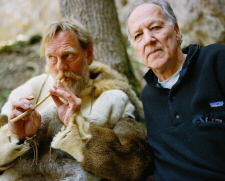 Director Werner Herzog returns to documentary with Cave of Forgotten Dreams, for which he gained exclusive access to the Chauvet-Pont-d'Arc Cave in the Ardèche in Southern France, discovered in 1994 and containing hundreds of remarkable drawings by early man around 32,000 years ago. In a fi lm that is full of stunning visuals, Herzog presents what he suggest as "the beginnings of the modern human soul" in a typically idiosyncratic and compelling way (remember the brilliant Grizzly Man?) in this enthralling exploration of the gulf between ourselves and our past.